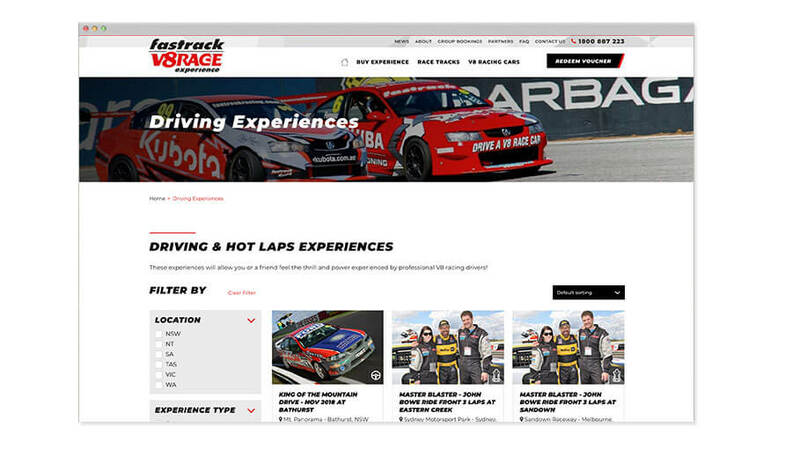 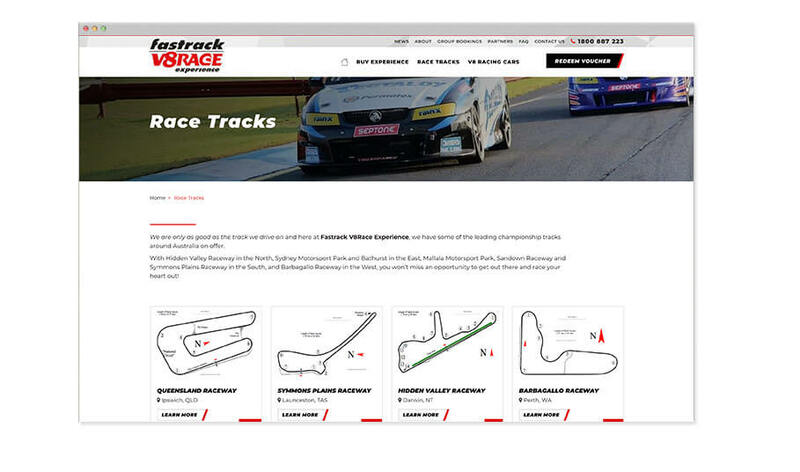 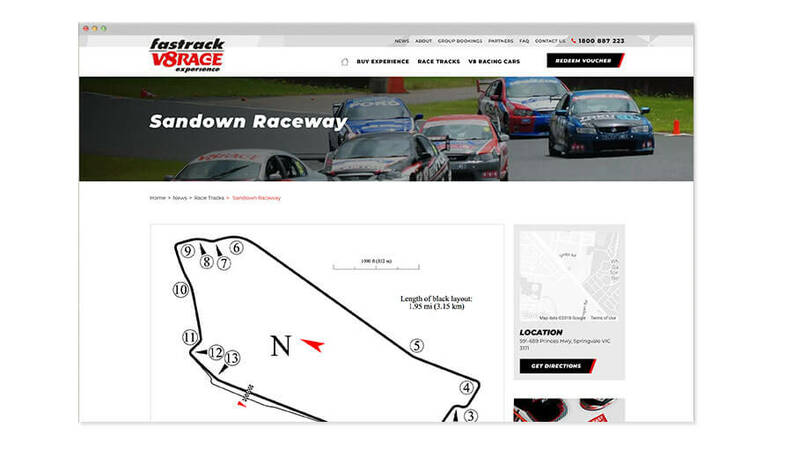 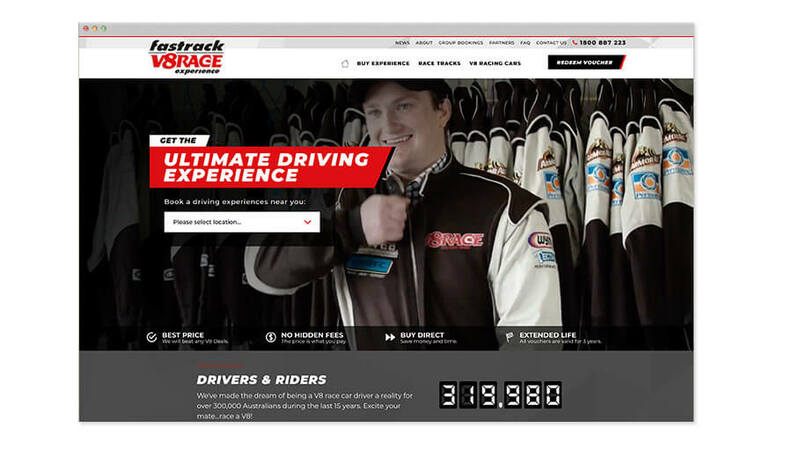 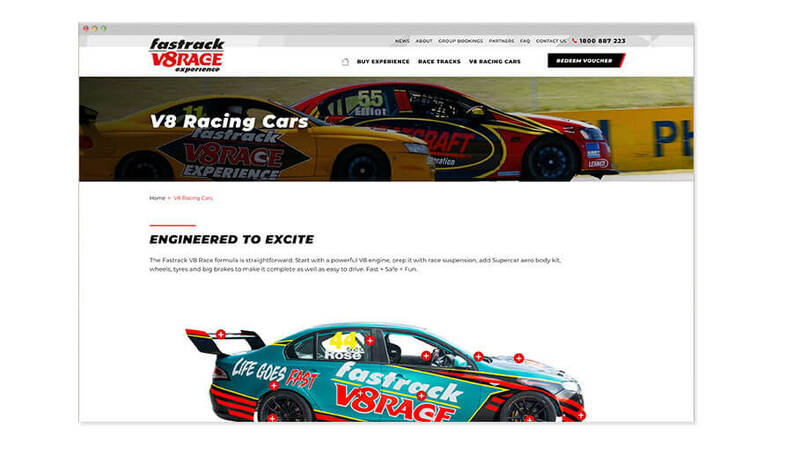 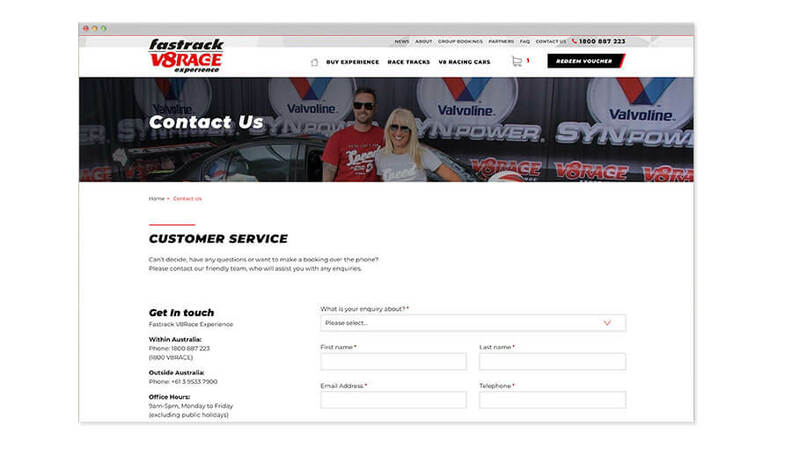 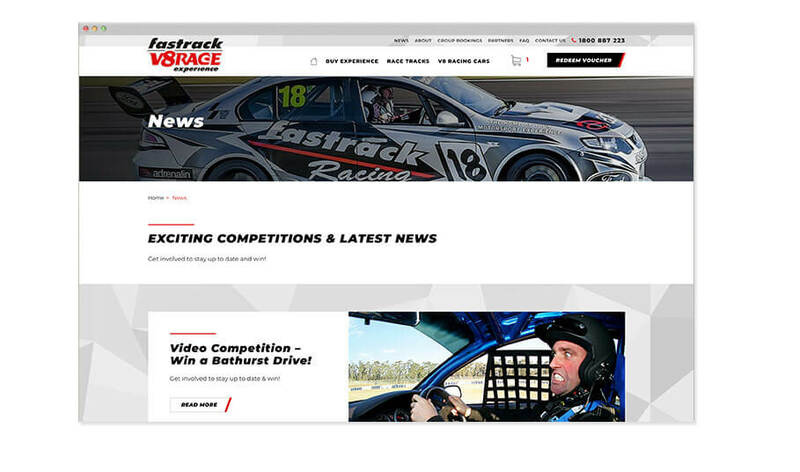 Fastrack V8RACE approached Digital Thing to redesign & develop there new website after the merge of Australia’s 2 largest V8 Racecar drive or ride experience companies. 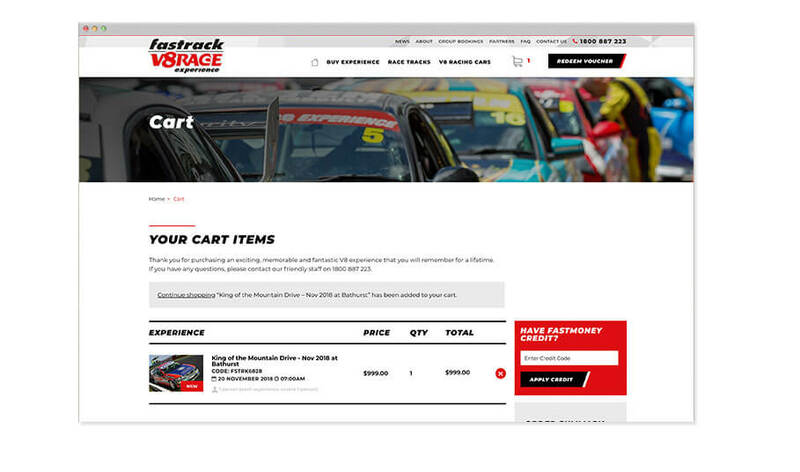 Digital Thing designed & developed a custom responsive theme using WordPress & WooCommerce. 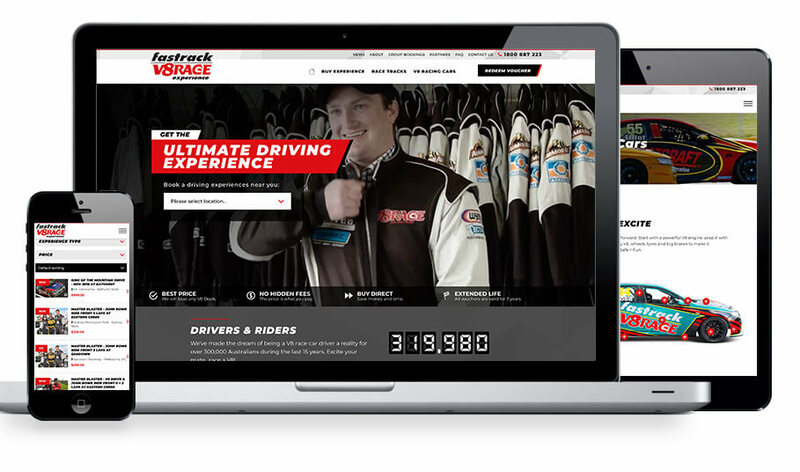 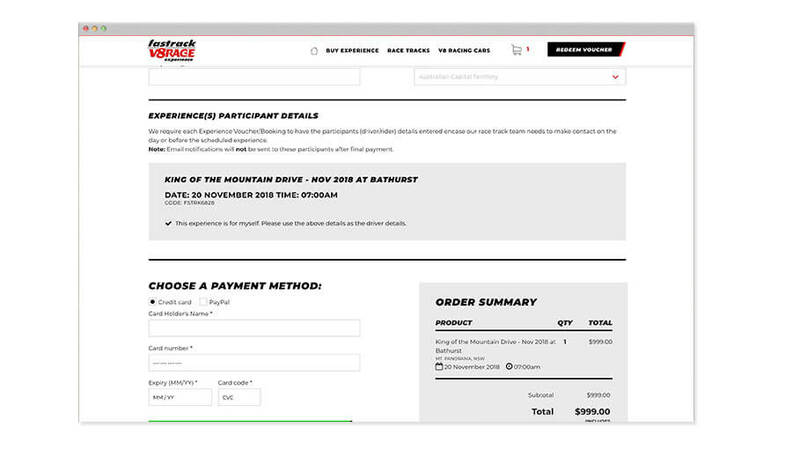 The new website included development of a custom WordPress plugin to talk directly (via API) to the booking system Booking Boss which provides users with realtime availabilities/tickets available at each race track. 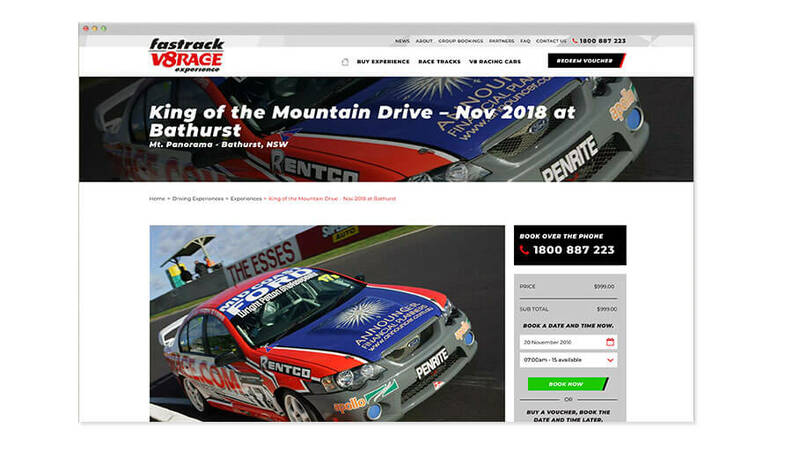 Digital Thing continues to work closely with Fastrack V8RACE to assist in maintaining industry leading digital experience and improving internal efficiency of processing bookings and executing marketing campaigns.